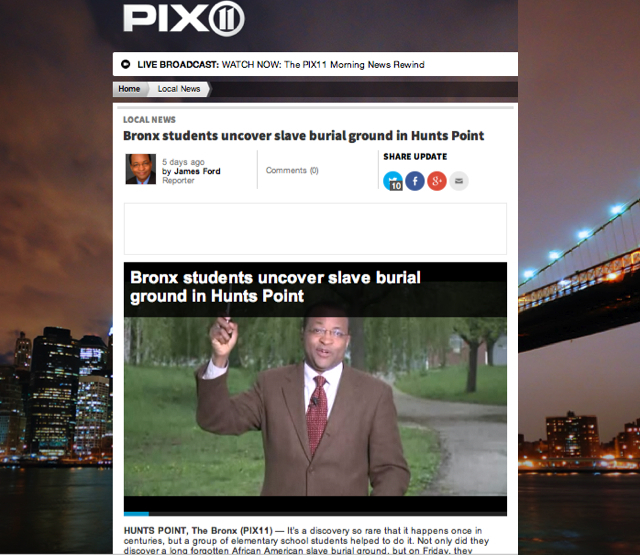 On Friday, May 9, 2014, at 11:00 a.m. the Office of New York State Senator Jeffrey D. Klein hosted a press conference regarding funding allocations awarded for the Hunts Point Slave Burial Ground (HPSBG) Project. 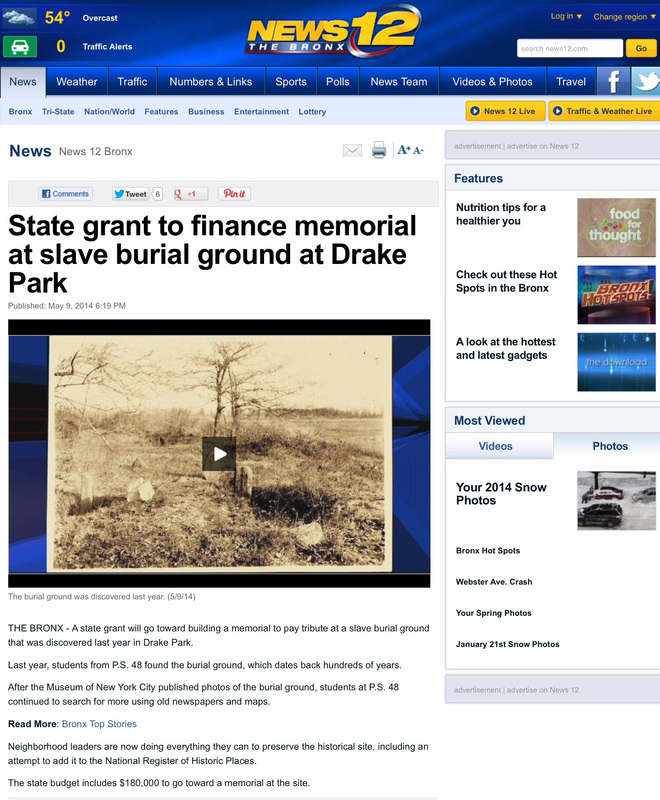 Held at Drake Park, the press conference announced capital funds for the development of a permanent memorial to those whose final resting place was once obliterated. Today, the community of Hunts Point, led by the students of PS 48 returns the forgotten to our shared history. The press conference received news coverage from local television news stations, PIX11 and Bronx12 News, in addition to being covered by Bronx Times and The Bronx Chronicle.